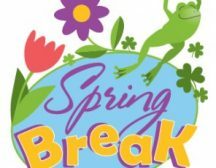 Home » Little Palms Info » Looking For Care Over Spring Break? Little Palms Day Care’s doors are open to children, while their regular care centers are closed for spring break! Email Little Palms for more information and secure your spot!